Even if you have expatriated from the United States to Germany, you may still be subject to expatriation tax and federal income tax reporting requirements. 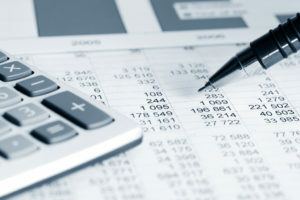 The IRS (Internal Revenue Service) takes aggressive measures to investigate US taxpayers who are suspected of non-compliance, such as tax evasion, concealment of foreign assets, and failure to file tax returns. If you have not certified timely and accurate returns with the IRS for all years in which reporting was required, or if you failed to file other necessary tax documents such as Form 8854, you may be subject to massive fines, civil penalties, and even a criminal investigation. 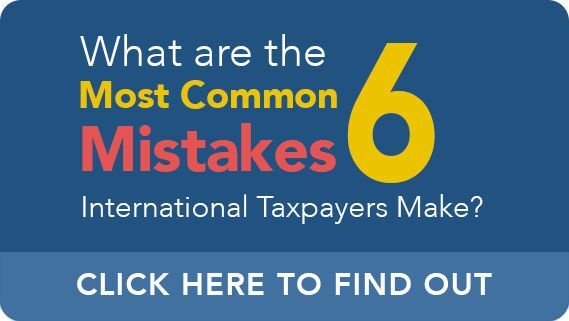 The bottom line is that expatriation tax is a highly complex issue, and even well-meaning taxpayers can make mistakes and omissions which attract unwanted attention from IRS examiners. However, you do not have to navigate the intricacies of the Internal Revenue Code alone. Ted Kleinman CPA has over 30 years of diversified experience working with a wide variety of clients, and specializes in international tax matters. He can help you resolve your outstanding tax issues, take advantage of deductions and credits, and work with the IRS to negotiate payments and participation in disclosure programs like the Streamlined Offshore/Domestic Disclosure Program). Deadlines are of the utmost importance where tax law compliance is concerned, so don’t wait until a crucial date has already passed and limited your recourse. To start discussing your financial matter in a confidential consultation with Ted Kleinman, call US Tax Help at (541) 923-0903 today. Was your net worth $2,000,000 or more on the date you expatriated from the US to Germany? Were you unable to certify with the IRS that you satisfied all US tax reporting requirements for the five years before you expatriated or ended your US residency? During the five years before you expatriated or ended your US residency, was your average annual net income tax higher than the following amounts (adjusted for inflation)? If you answered “yes” to any of the above questions, and your date of expatriation fell on or after June 16, 2008, then you are a considered to be a covered expatriate. You expatriated on or before June 3, 2004, or after June 3, 2004 but before June 16, 2008. The reason these periods of time are divided, including the aforementioned expatriation period of “on or after June 16, 2008,” is that different financial thresholds and federal laws apply to each. For example, pre-AJCA (American Jobs Creation Act) provisions apply to persons who expatriated on or before June 3, 2004. Furthermore, if you were physically present in the United States for more than 30 days of any year during the period where 26 U.S. Code § 877 applies, you will be treated for that year as if you were a US citizen or resident. In other words, if you spent more than one month in the United States, then your worldwide income — including German income — is subject to US tax reporting requirements for that year. However, there are several exceptions to this rule. CPA Ted Kleinman can help you determine whether these exceptions apply to you, and will guide you through all pertinent filing deadlines and requirements. If you meet certain criteria, you may be required to file an FBAR (Report of Foreign Bank Accounts). The purpose of FBAR is to prevent US taxpayers and entities from concealing their assets with foreign banks and foreign financial institutions (FFIs). 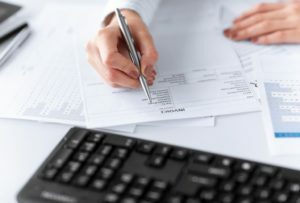 You are required to file an FBAR if you have either signature authority over or financial interest in a foreign account if the total value of the account or accounts was greater than $10,000 at any point during the year to be reported. In the past, taxpayers could file FBAR by using Form TD F 90-22.1. However, the IRS has updated its filing system: taxpayers must now file an FBAR online by using the BSA E-Filing system through FinCEN Report 114. You may also be able to participate in the Streamlined Offshore /Domestic Disclosure Program. If you are eligible for Streamlined participation, you may be able to avoid referral for criminal prosecution by disclosing your offshore accounts and foreign assets. Note that Streamlined is an entirely separate matter from FBAR. The programs are neither synonymous nor functional as substitutes for each other. It’s also important to note that you will not qualify for the Streamlined if an IRS civil investigation into your activities is already underway. If you need assistance with any of these matters, or if you have questions about your tax obligations as a US expatriate living in Germany, US Tax Help can work with you to pinpoint strategic solutions. To set up a confidential appointment, call Ted Kleinman today at (541) 923-0903.